The plantation that became known as White Plains originated in a 362 acre tract that Robert Ellett Jr. had acquired by 1787, land that formerly was owned by William Lemay whose heirs sold it to Thomas Ellett in 1786. By 1791 structural improvements were built on the property, which became the Ellett family’s ancestral home, White Plains. In 1820, when county tax assessors began disclosing the assessed value of buildings, a domestic complex worth $550 was located on the Ellett plantation. After Robert Ellett’s death around 1824, his widow, Frances, retained life rights to White Plains but promptly moved to Henrico County. Temple Ellett, who married the former Mary W. Acree in 1828, probably lived at White Plains before he inherited it outright in 1838. 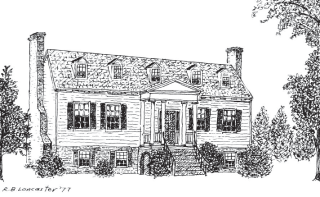 Between the time of the tax assessor’s visit in 1841 and his return in 1842, Temple Ellett erected a new building worth $1,050 at White Plains, presumable the existing dwelling; however, he retained the property’s original improvements, then valued at $500. Temple Ellett died in 1848, leaving life rights to his widow, Mary, but bequeathed the family home and 125 acres to his eldest daughter, Lucy Ann, who wed Cornelius H. Dabney in 1846. 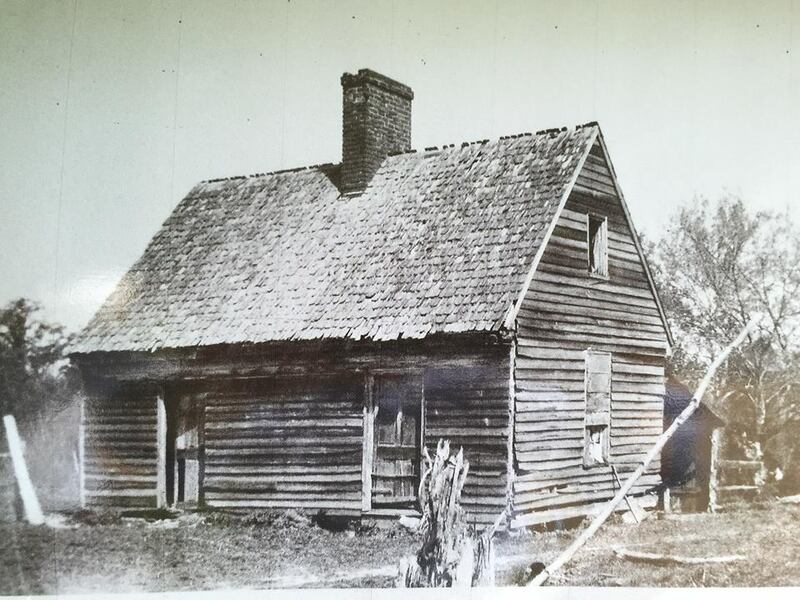 Mary W. Ellett lived at White Plains until her death in late 1864 and Dabney, who had remarried, lived near Hopewell Church, on his own property. In May 1863 Mary W. Ellett’s daughter, Bettie H., who was age 22, sent word to Confederate troops that the Union cavalry was moving toward Tunstall’s Station. Thanks to her timely warning, the attack upon the railroad was averted. A remarkably detailed account of the estate sale held after Temple and Mary W. Ellett’s deaths reveals how their home was furnished in February 1865. 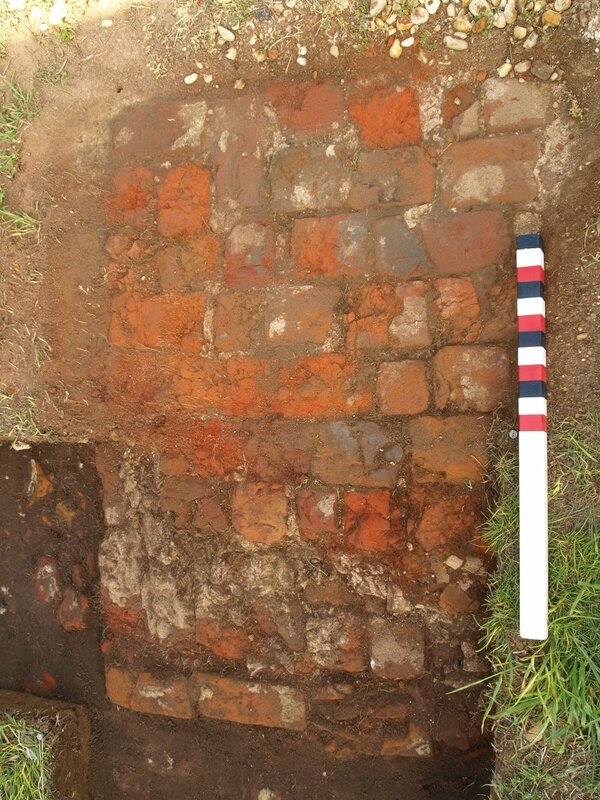 It also reveals that the Ellett family’s crops and livestock had escaped wartime intrusions, probably because their domestic complex was off the beaten track. In 1873 Lucy Ann Ellett Dabney’s three surviving children sold the White Plains dwelling and 125 acres to the children of blacksmith John C. Winn and his wife, Ann Elizabeth, who were Native Americans and formerly lived in western New Kent County near Black Creek. Mrs. Winn, upon being widowed, retained possession of White Plains until her death in the early-to-mid 1880s. She and her sons farmed the land, but her daughters supplemented the family income by working as seamstresses. Upon division of the Winn estate, White Plains passed through a series of owners. Between 1957 and 1958 Dallas H. and Eugenia E. Smith, who owned White Plains, enlarged the dwelling by adding an architecturally appropriate wing. The Peace family acquired the property in 2011 and with the advice and effort of Restoration Builders of Virginia, David Cooley, present a fully restored 19th century home for modern living. The family is proud of its recognition from Preservation Virginia earning their preservation award in 2013 and among others credit the Virginia Rehabilitation Historic Tax Credit and the Department of Historic Resources for its incentive program to master the restoration.